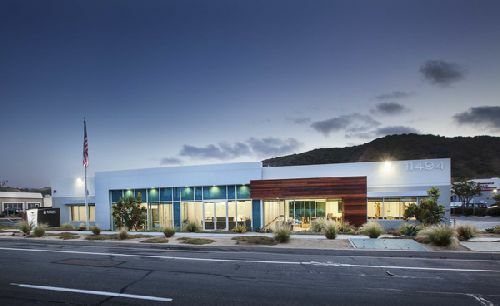 Boston-based Longfellow Real Estate Partners has acquired the Inspire Portfolio, a 12-building, 319k sf commercial office/lab portfolio in San Diego’s Sorrento Valley area, for $112 mil ($351/sf). The properties, currently 95% leased to a diverse roster of 81 life science, technology and research and development tenants, were sold by Parallel Capital Partners Inc, out of San Diego. The new owners plan to continue the proven life science conversion plan started by Parallel Capital Partners, adding significant value by repositioning the remaining 50% of the portfolio. Over a period of six years, Parallel infused more than $10 mil in state-of-the-art renovations and upgrades to the Inspire Collection, meeting the growing demand for creative office and life science space. According to Matt Root, CEO of Parallel Capital Partners, his company purchased the Inspire assets as part of a larger portfolio acquired from Collins Development Company in 2012. That $63 mil acquisition included the Sorrento Valley assets as well as the 31.3k sf Herschel Building in La Jolla and the nine-building, 152.7k sf One Technology Place in Rancho Bernardo. Parallel sold One Technology Place (10905-10949 Technology Place) to Menlo Equities for $22 mil in December 2014 and the Herschel building (1100 Wall Street) to the McCarthy family (McCarthy Family Vineyards) for $15.2 mil in February 2015. All told, the Parallel group bought the Collins portfolio for $63.4 mil and sold it for $149.2 mil. Nick Frasco, Nick Psyllos and Michael Leggett of HFF represented the seller in this latest transaction.